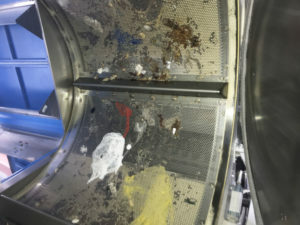 Industrial Dryers face a serious problem when dryer panels become heavily contaminated with foreign objects. A build up of melted plastic blocks air holes is a main factor resulting in dryer inefficiency, affecting performance and significantly slowing drying time. This results in longer working days, less material being dried, higher drying cost, higher gas bills and shorter mechanical life for dryers and parts. Traditional cleaning methods require chisels and abrasive brushes to scrape away contaminant, which can cause significant damage to equipment and shortens its lifespan. Once contamination build up becomes significant, it may be necessary to replace the dryer basket, costing tens of thousands per drum. Dry Ice Cleaning is an effective and efficient way to clean industrial dryers. After Dry Ice Cleaning, drying a load can be up to 50% faster, meaning more material can be dried each day at a lower cost. Dry Ice Cleaning is non-abrasive, therefore does not damage interiors of the drum, improving reliability, reducing risk of repair at a later stage and improving equipment lifespan. It is a moisture free process and no secondary waste is produced, notably reducing clean up. Dry Ice Cleaning cleans in place (no need for disassembly of equipment), meaning cleaning downtime is significantly reduced. As well as this, the standard of cleaning quality is increased.  Contact Polar IceTech for more information on the capabilities of Dry Ice Cleaning.